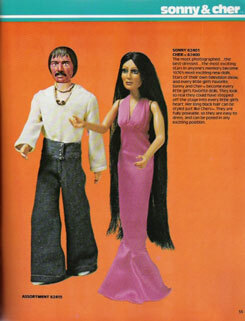 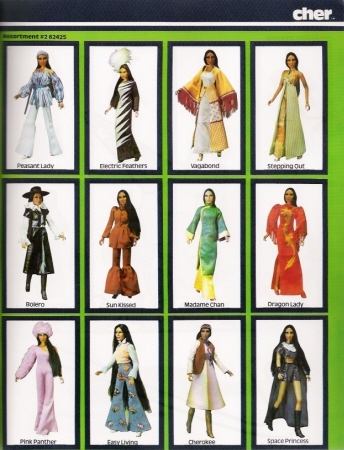 Mego's attempts to get into the Barbie market were often celebrity driven. 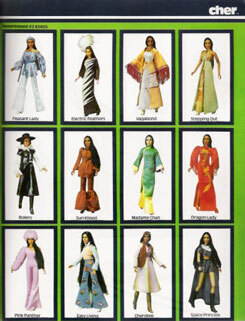 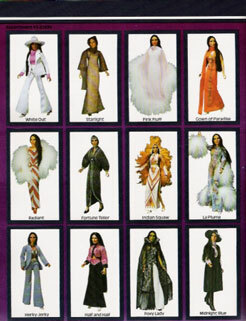 Mego's launch of Cher was an all out assault on the girls aisle with a barrage of Bob Mackie designed outfits, below is just a sample. The frightening looking Sonny Doll Pictured left is not the doll that made it to release, the final version was given a smile and was unveiled on the "Mike Douglas Show".